and this got me thinking about my own make up first and fails and thought oh dear I have loads of them. So this TAG is for me. yeah I used to make a meal out of blue eyeshadow. 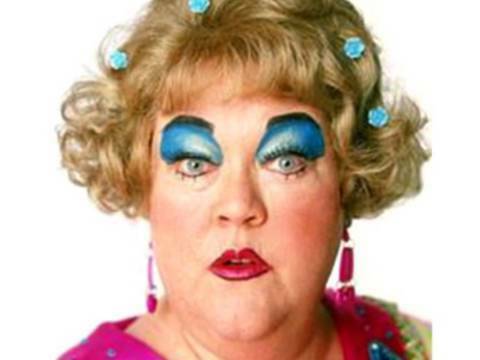 And looked like a bad drag queen! Oh my gosh, I dyed my hair bright yellow with a orange tinge. My mum hit the roof and made me dye it brown. I had blonde hair anyways! 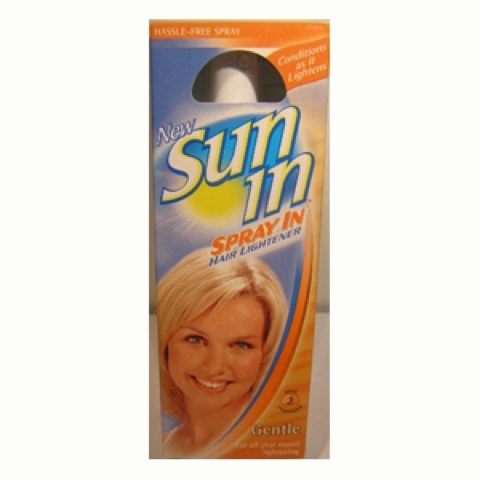 Does anyone else remember sun in (evil product) this wreaked my hair for years afterwards. Morale of the story two boxes of sun in plus two teenagers = bad hair !!!! Aw the glamour! Yip I did this at school. With a bad knowledge of products and shopping with my mates. 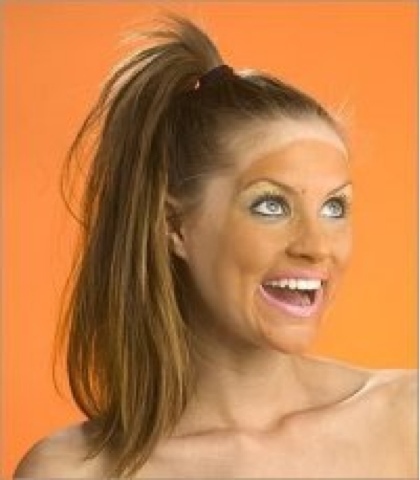 This made me pick some seriously orange foundation thinking it looked beautiful and tanned looking haha. It was about four times two dark. This photo was the nearst I could find lol it makes it look glam! Well I hope I've come a long way in the hair and make up front but I've got loads to learn lol. I'm TAGGING all my readers who blog. Please leave me any comments and link to your version on this tag. I'd love to read them.